Okay, so make up posts from me are kind of few and far between. I wear make up about twice a month, simply because I try to keep my skin as clean and un-clogged as possible, and usually find make up really uncomfortable. This, of course, makes all of my make up reviews super special occasions, and leaves you assured that they are going through a test with someone with the highest standards ever! Let’s start off with the packaging. You all know I’m a sucker for some good packaging, and seeing as that’s what got me hooked, I think Zao have nailed it. 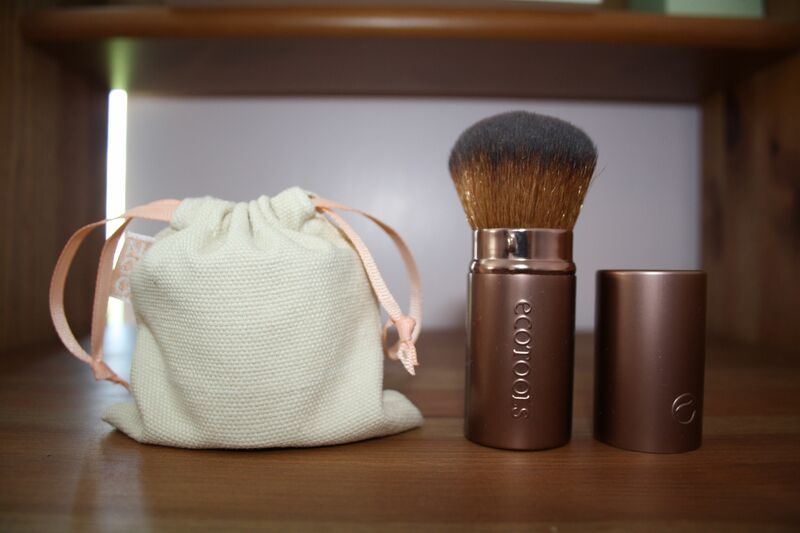 The foundation is encased in a gorgeous bamboo case (inside the cute little cotton pouch) and you get a lot of the powder in this little pot. I love the look of this product, however I do have a couple of (constructive) criticisms… the lid is just held on with two little magnets, which really aren’t very strong, so I wouldn’t recommend this product for you if you fancy popping something in your handbag, however if you transport it in its cotton pouch, this would be suitable for travel. Also, it’s a shame, but it is kind of impossible not to get this powder everywhere when you use it. Because you can’t close the little dispensers, the top of the pot is always full of powder and it just gets everywhere. It’s actually quite annoying, but forgivable. There’s also nowhere you can shake off excess product from your brush, so I feel like quite a lot is wasted. I think it would be worth looking into a wider pot, so you can swirl your make up brush around the lid to make it a little easier to apply, but I guess that’s just me being fussy! Because I’m pasty, I have the ‘Pinkish Beige’ shade, which is a pretty much perfect match. I have a typical ‘english rose’ complexion, so the pink tones are good for me, but Zao also do orange, neutral, clear and darker tones, so there are plenty to choose from. The coverage, I would say, is medium and buildable, but would be perfect for a very light dusting in the summer so you don’t feel clogged and balmy. I really do love the consistency of the powder; Zao recommend applying this after your choice of moisturiser, which creates a matt finish and means it can be used on all skin types. After applying, your skin still feels soft (I hate that balmy texture that some foundations leave) and really just like nothing is there at all, which is what I look for in a foundation. I really love those ‘barely there’ products, and this definitely comes into that category. It helps make skin tone look even and radiant, whilst maintaining a skin-like texture – it really is fantastic. As you can see, I apply this with my Eco Tools Retractable Kabuki (which I love), but also use the mini eco tools full powder brush and blending brush from this set to ensure I don’t get any orange patches around my nose/upper lip. These are a great combination of brushes for mineral powders, and I would highly recommend them! Zao also do their own range of brushes that I would really love to try. I also love Zao’s ethos. They make every effort to ensure their products are as natural as possible, which is always reassuring! This Mineral Silk foundation contains some amazing ingredients, such as micronised silver powder (fancy!) which is micro-particles of pure silver, which have wonderful antiseptic and antibacterial properties, which make this a perfect product for blemish-prone skin types. This also helps to preserve the product, reducing the need for any artificial preservatives or nasties. This product claims to be 100% natural (and 32% organic), eco certified and completely cruelty free – it’s also vegan, which is always a plus point! I would definitely recommend this product to anyone! It is suitable for all skin types, is really great value, is natural and kind on the skin and leaves a gorgeous finish. I really am in love! 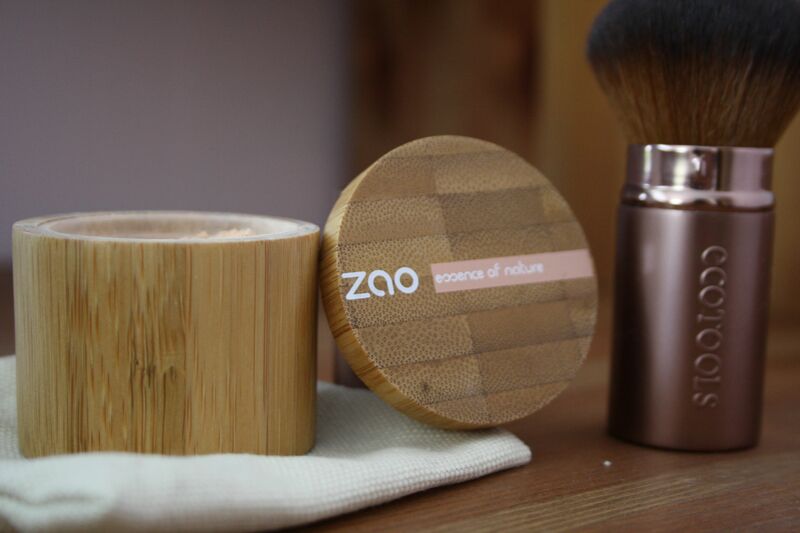 There are so many other Zao goodies I’d like to try, such as their Mineral Cooked Powder, which sounds PERFECT for the summer, Compact Powder and Concealer. I’ve also heard amazing things about their Matt Lipsticks, if that’s the kinda thing you’re into! Are you a fan of mineral make up? I’d love to hear about your faves! Omg the packaging is top notch!! Deffo check them out, highly recommended! Isn’t the packaging gorgeous? I love the minimalism and use of sustainable materials. I’ll have to give this brand a look into! Also, love Ecotools, they are effective, eco conscious, and affordable.